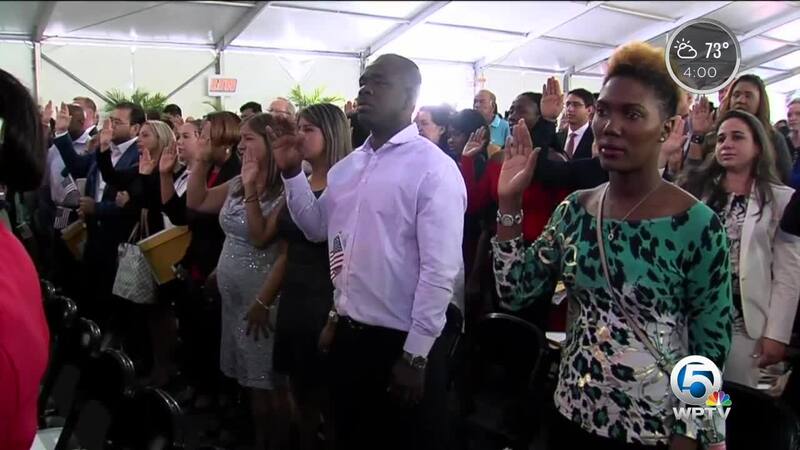 PALM BEACH COUNTY, Fla. — On Tuesday, 522 people officially became U.S. citizens at a massive ceremony at the South Florida Fair. 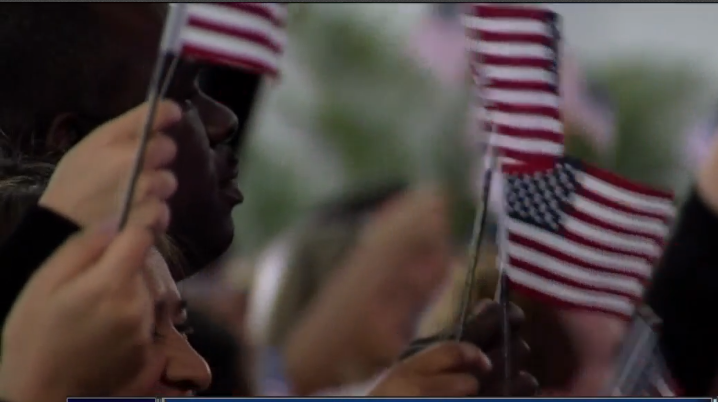 America's newest citizens, who are from 65 different counties, took the Oath of Allegiance during a naturalization ceremony at the fairgrounds in suburban West Palm Beach. Among the group was 105 teenagers and young adults from 25 countries who also received their certificates of citizenship. The ceremony came on the same day that the U.S. Supreme Court decided not at act on a move by the Trump administration to end the Deferred Action for Childhood Arrivals program, or DACA. Because of the Supreme Court's decision not to act, nearly 700,000 undocumented immigrants who came to the U.S. as children can stay in America for at least the next several months.